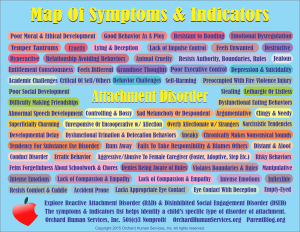 Attachment disorder is such a serious and complex developmental challenge that the list of possible symptoms and indicators is long enough to fill up an entire map. Parents of children with disordered attachment, such as Reactive Attachment Disorder or RAD and Disinhibited Social Engagement Disorder or DSED, deal with a complex spectrum of symptoms that may even change from one moment to another. Darleen Claire Wodzenski of Orchard Human Services, Inc. explained that working with children of attachment disorder is like doing therapy in a three ring circus. Based upon Bowlby’s theory of attachment, this condition is heartbreaking. These children are so confused and ill at ease that they flip flop back and forth from one dysfunctional behavior to another. This is why diagnosis takes time, focus, and experience. Parents are advised to work with an experienced clinical mental health professional who is a proven track record for helping children with disordered attachment get back on track developmentally. 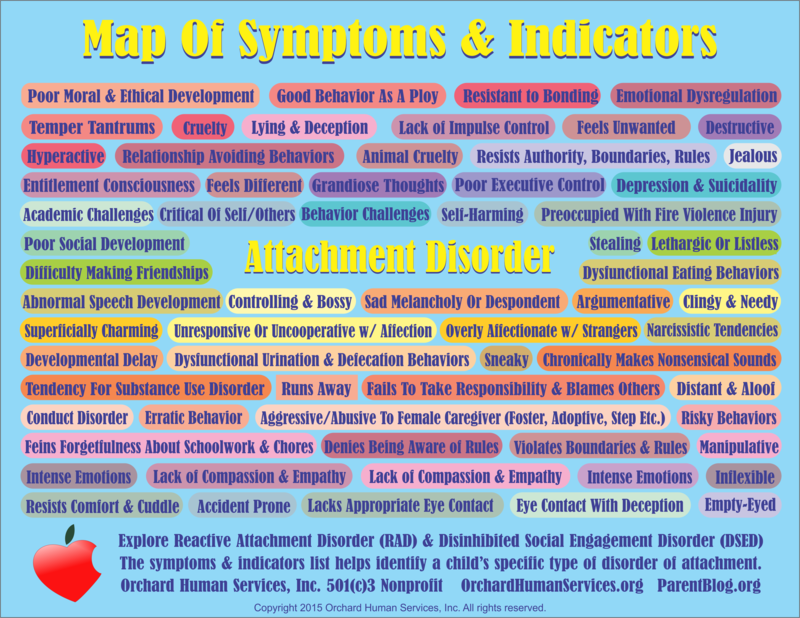 Following is a non-comprehensive map of symptoms and indicators of disordered attachment. Each child with an attachment disorder will exhibited a totally unique combination of some of these indicators or symptoms. In some cases, children will exhibit conflicting behaviors at different times, such as being overly friendly with complete strangers but being shy and unwilling to hug a parent or close relative. Parents must remain patient and learn therapeutic parenting strategies to help overcome the developmental challenges of disordered attachment. 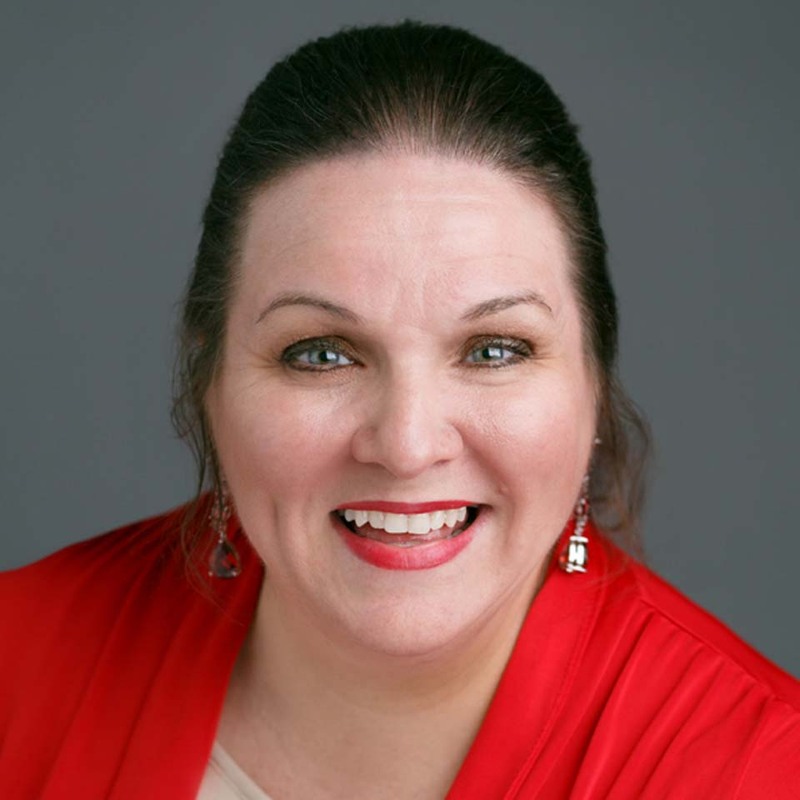 Darleen Claire Wodzenski is a Clinical Mental Health Counselor, Special Education Professional, and Parent & Teacher Trainer. Read more at DarleenClaire.com and OrchardHumanServices.org.